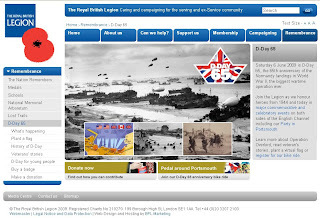 The Royal British Legion has enveiled their new site, www.dday65.org.uk, created by The Gate. 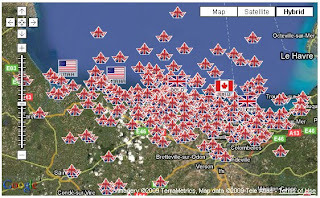 The site is geared towards this Saturday's D-Day remembrance activities, and allows visitors to plant a virtual flag on a Google map of the Normandy beaches, with an accompanying message. The online activity will mirror the offline activities that will take place on the beaches themselves. Interestingly, users that plant a flag will recieve an email with the necessary link/embed code to add 'their flag' to a number of different social networking profiles.